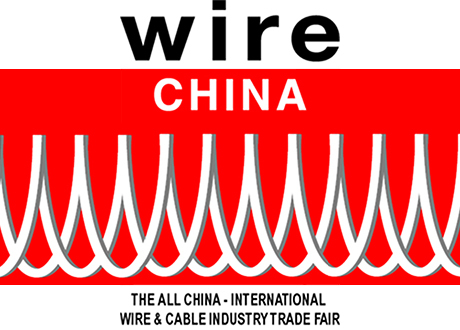 The Wire show in China (September 26 to 29, 2018) is just around the corner. Sampsistemi looks forward to meeting customers, partners and friends to show the results of its constant strive for precision and excellence. Moreover, Wire China is the perfect scenario in which present to the whole Asian market the result of a challenge three-year strategy ended with the recent acquisition of Setic and Pourtier and their Service Division C2S.Therefore it is a pleasure to invite you in our two coordinated Booths, Sampsistemi W1C03 and Setic & Pourtier W1F25, to let you discover our enlarged complementary state of the art technology. Today, Sampsistemi has greatly enhanced and strengthened the capability to offer a complete range of products able to match the evolving needs of our customers worldwide. Thanks to the Sampsistemi strategy, the company becomes one of market leaders in the wire and cable machinery manufacturing with a solid know-how and experience in the sector. In line with this strategy, Sampsistemi has announced recently also a change in its structure appointing Mr. Thierry Collard CEO of Sampsistemi who will report directly to the SAMP’s CEO Mr. Lapo Vivarelli Colonna. A number of innovative solutions for the wire and cable manufacturing technology will be on display. Let’s have a look at some of the most interesting ones. The Sampsistemi Multiwire Drawing Platform (DM Platform) and the Multiwire Annealing Platform (AN Platform) is based on the latest advanced technology where the technical solutions can be adopted or not according to the required process. .,. Aluminium and its alloys are playing an important role in the development of wire and cable solutions for automotive applications. For this reason, Sampsistemi is engaged in a continuous improvement of the whole range of products designed for the multi-wire drawing, in-line annealing, spooling and successive bunching process of aluminium wire. The DM Platform consists of drawing machines up to 56 wires, with wide outlet wire diameter, from 0.05 to 1.35 mm, and inlet wire up to 2.6 mm. Slip-recovery technology upon request, based on the splitting of gear transmission into two or more independent sections, each one driven by one or more motors synchronised by PLC, allows less wire stress and breakage, a reduced wear of capstans and guiding elements, a better wire quality and a reduction of energy consumption by 10-15%. The AN Platform includes several technical features, such as improved cooling and drying system, multi-motor technology where requested, adjustable pre-heating length, wire-walker before contact rings and cleaning device on contact rings. The control system is able to set up all production parameters to form a production recipe stored in the HMI panel. The Annealer Platform is completed with the latest developments in annealing technology, such as the electronic equipment that improves the wire surface quality and energy efficiency (PF > 0.90). As one of the leading companies in the extrusion technology, always guaranteeing an extremely high production output while at the same time ensuring an excellent quality of the final product and the possibility to work a wide range of materials, Sampsistemi is also displaying the SAMP 80-25 extruder from the Sampsistemi Extrusion Research & Development laboratory, where the Italian company tests a number of different cable types in realistic production conditions to improve machine performances and supply its customers with cable samples. For instance, the last developments on the aerospace cable with HT special insulation material. All extruders on show will feature solutions developed together with CJ TEK, Sampsistemi’s Swiss Technology Partner for Extrusion Crossheads, who will be a co-exhibitor at the show, displaying a number of high-technology, innovative crossheads for many different applications. At the Wire China, clients would be able also to see the BM 630, part of the rotating machine portfolio of Sampsistemi. With more than 3000 machines sold the BM 630 represents one of the most interesting example of reliability in the cable world machinery. The geometry of the wire path together with the general simplicity of machine construction are the most important features of this machine. The renage from 0.1mm2 to 6,00 mm2 is completed by an uncommon capability to perform with geometric stranded conductors. The Green Bow technology completes the machine most relevant features: this high technology bow ensures best rotating machine operations. It has 3 wire paths for enhanced production and it allows to save 30% of energy on bow motorization. It is worth stressing that all Sampsistemi machines are developed according to the most recent innovations of Industry 4.0, in order to allow customers to manage all production and maintenance data remotely in an easy and convenient way. These and many more surprises will be awaiting you at wire Shanghai. Visit our Sampsistemi Booth W1C03 and Setic Booth W1F25 and follow us on www.sampsistemi.com to get to know more!